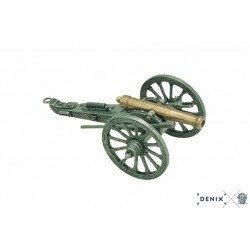 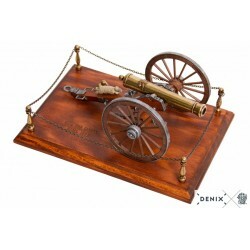 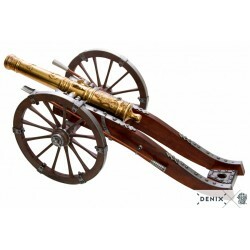 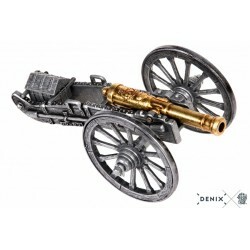 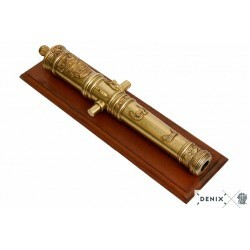 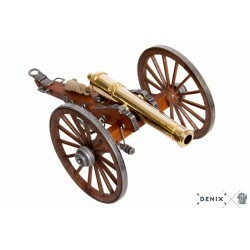 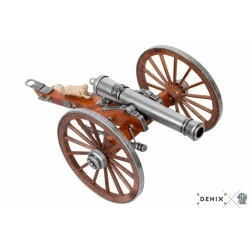 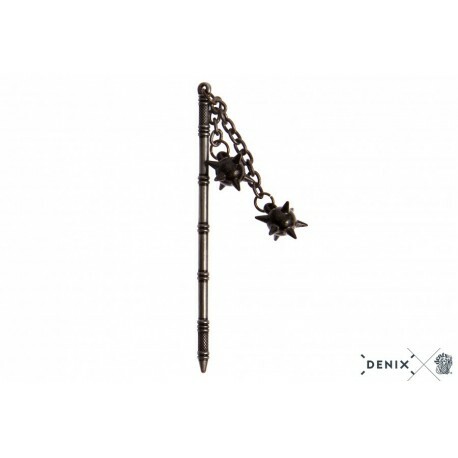 > Denix Historical Replicas>Denix Miniatures>Denix 3502 Mini 2 balls flail, England 15th. 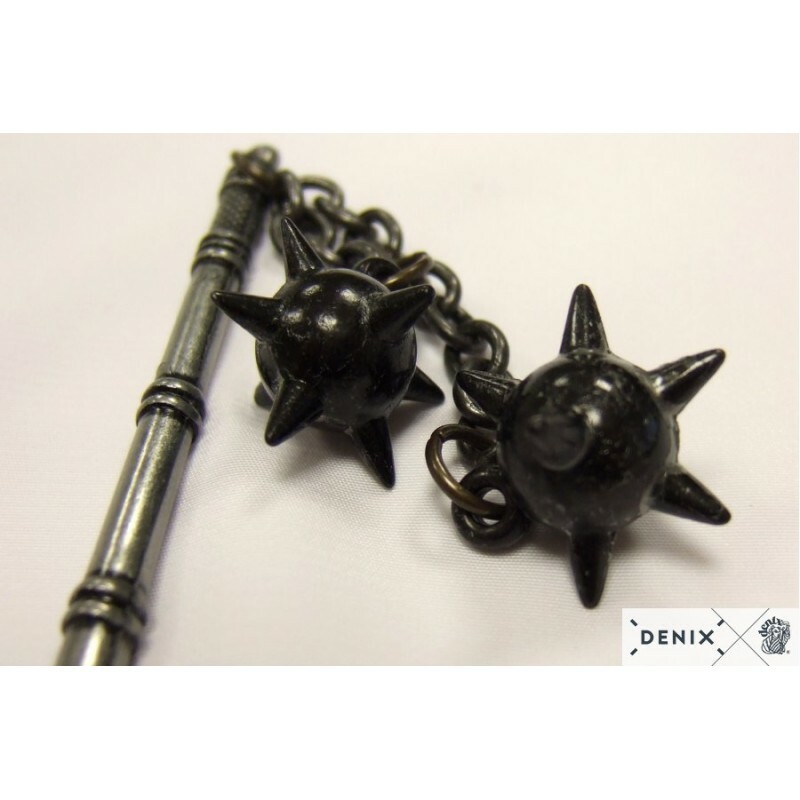 C.
Denix 3502 Mini 2 balls flail, England 15th. 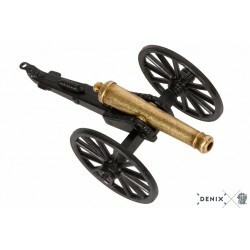 C.
Miniature reproduction of a flail from the XV C., made of metal. 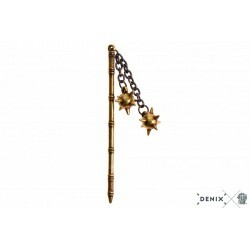 The flail, also called the whip of arms, was a weapon of the Middle Ages that has its origin in the flail, a traditional agricultural instrument used for threshing cereals. 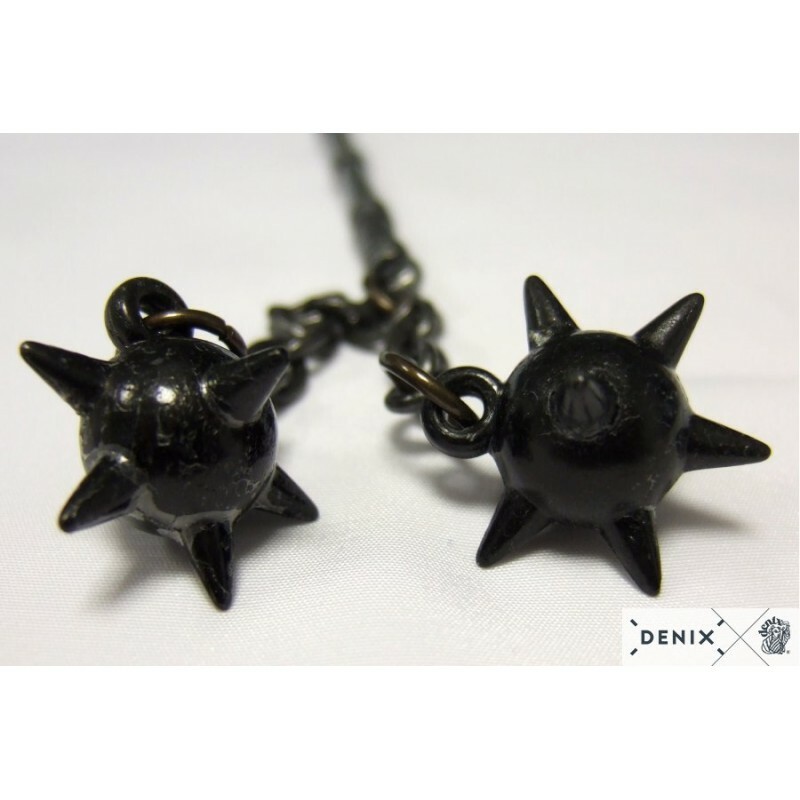 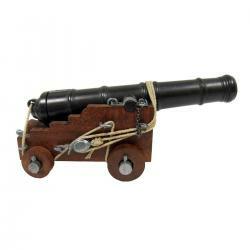 It was composed of a handle of wood or metal in which they engaged one, two or three chains with nailed balls. 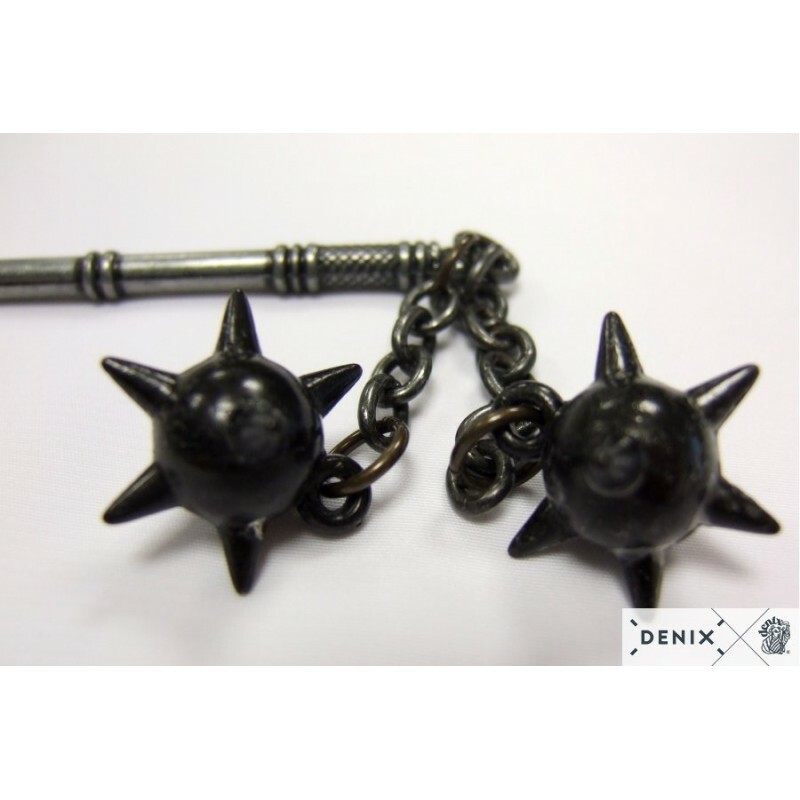 The flail was a widely used weapon against medieval armor and defensive shields. 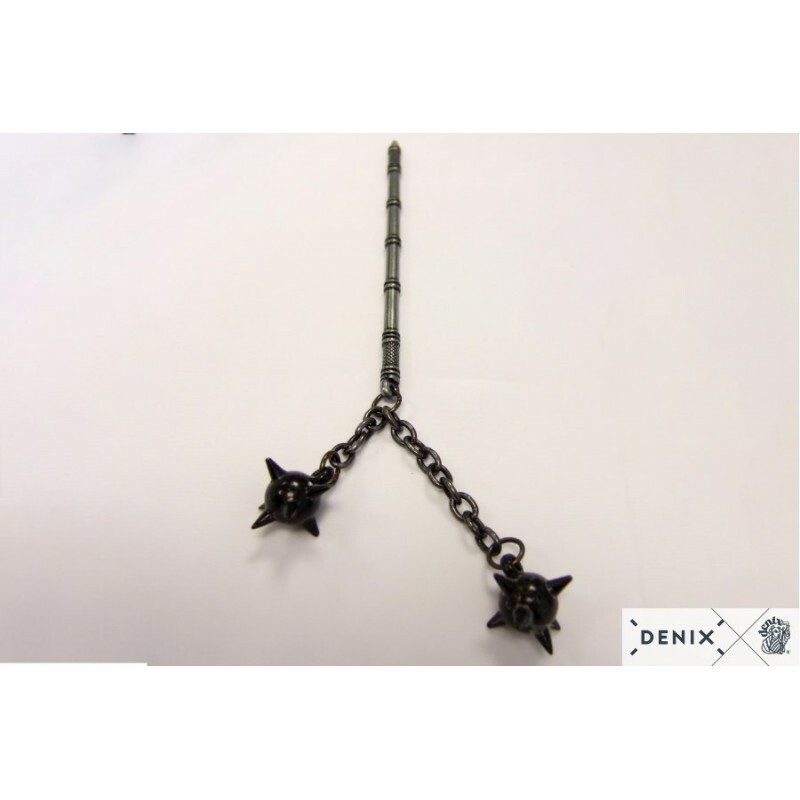 Usually, they were used with both hands because their handling was difficult and required training and some space to hit. The main advantage of the flail was that they could oscillate and therefore hit on or around the knights' shields. 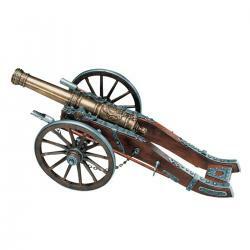 Its main disadvantage was the bad precision and the difficulty of using it in melee combat or in closely aligned battle formations. 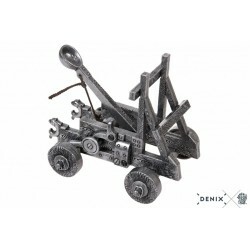 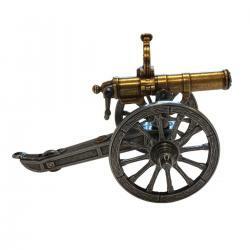 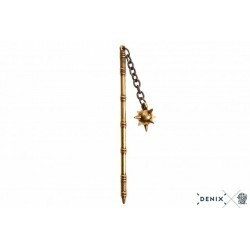 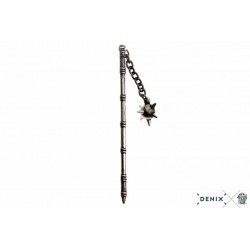 Relive the best medieval battles with this miniature of a DENIX flail! 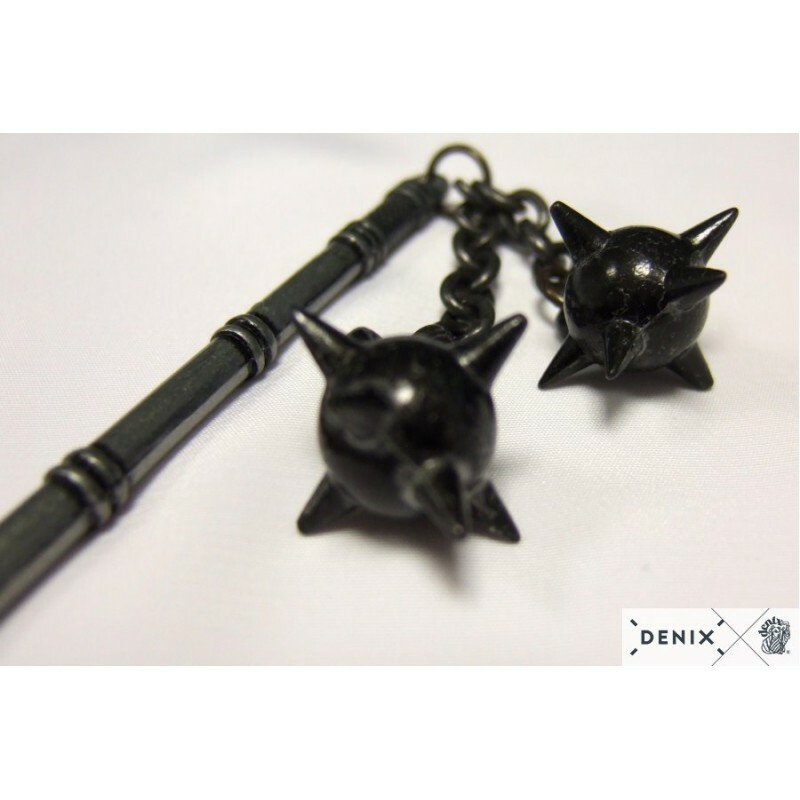 Dimensions: 12 cm / 0.12"